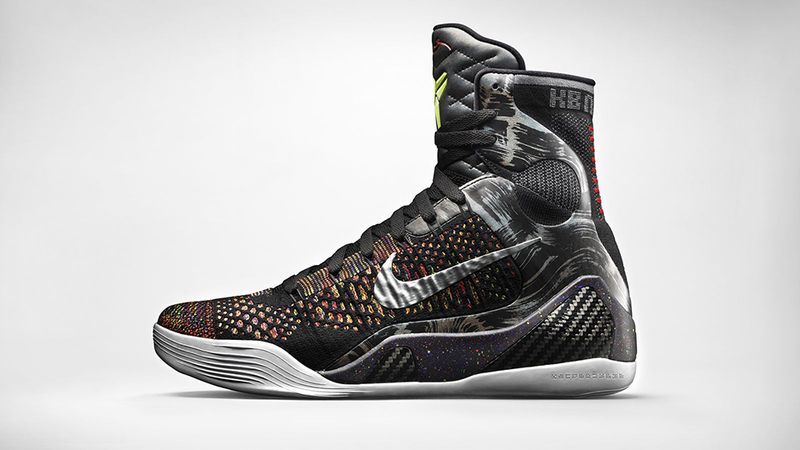 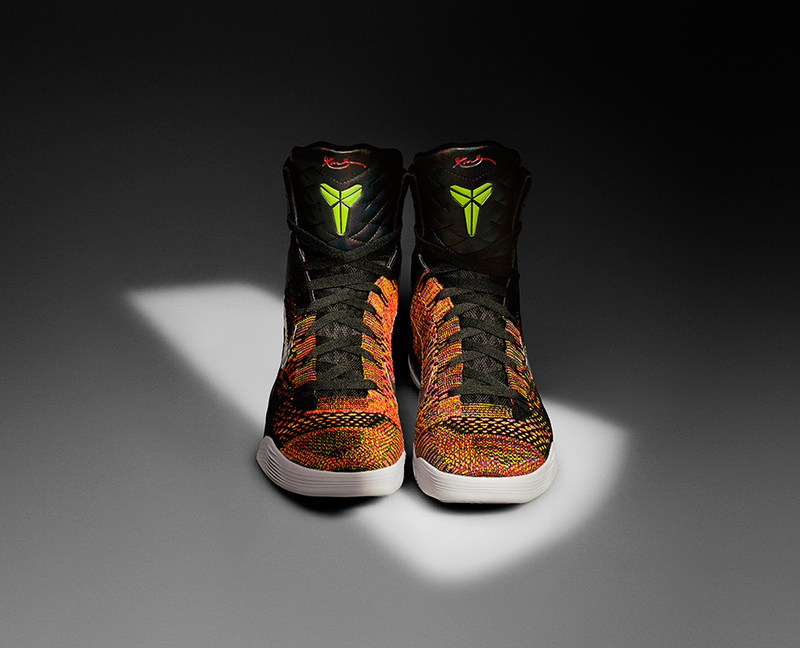 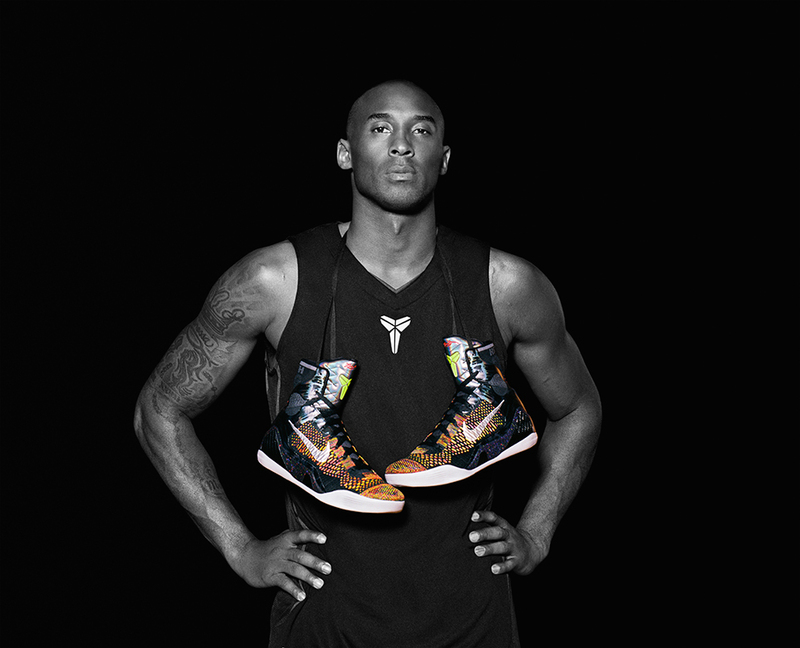 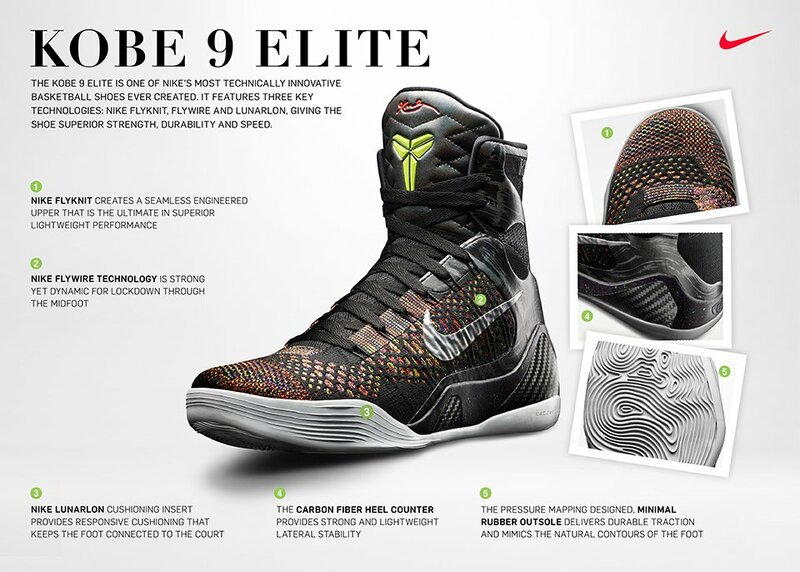 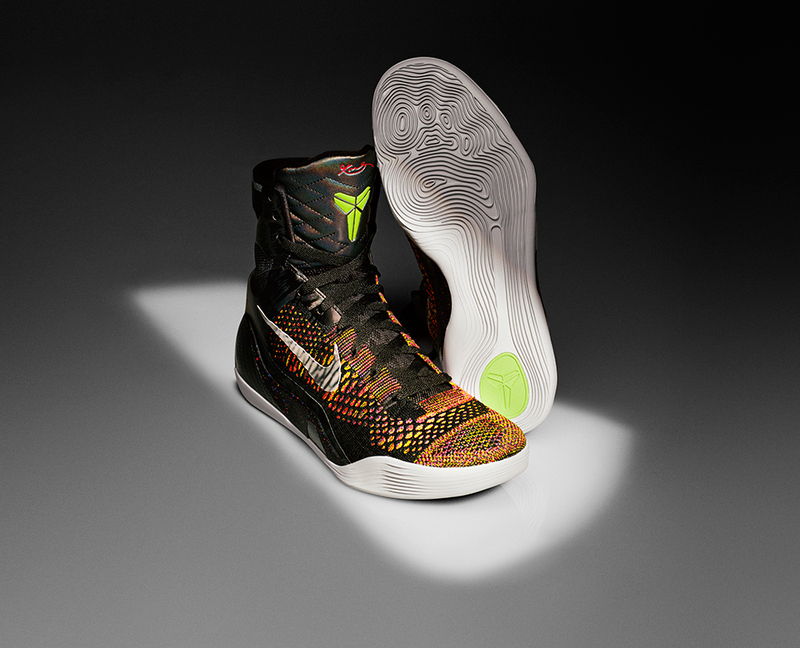 The Kobe Elite 9 has a single piece Flyknit and Flywire upper, Lunarlon midsole and a carbon fiber heel counter. 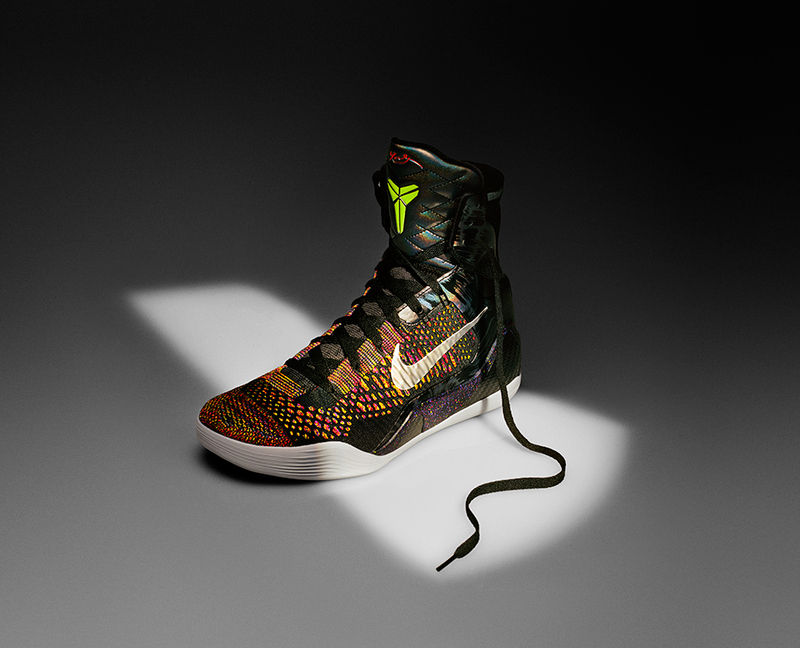 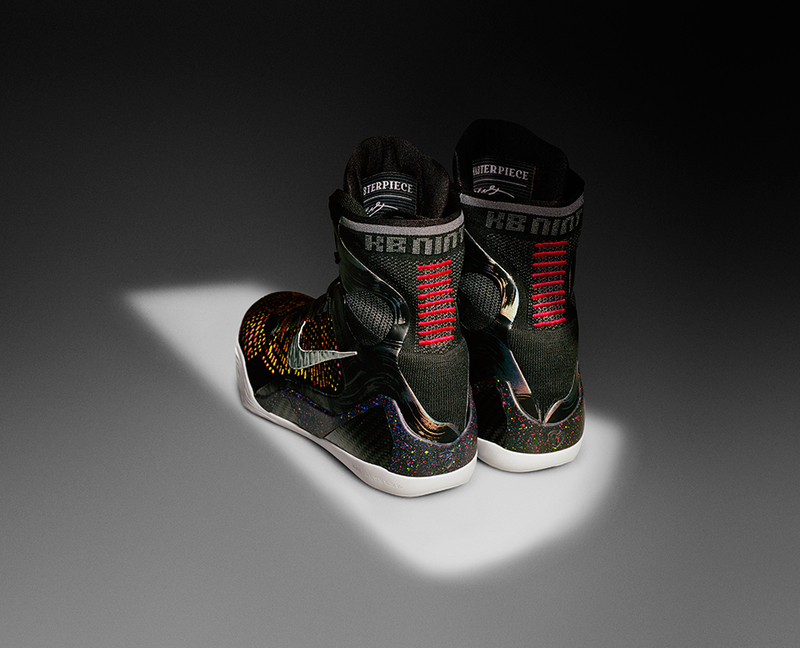 The idea for the ultra high cut kicks came to Kobe while watching boxer Manny Pacquiao train. 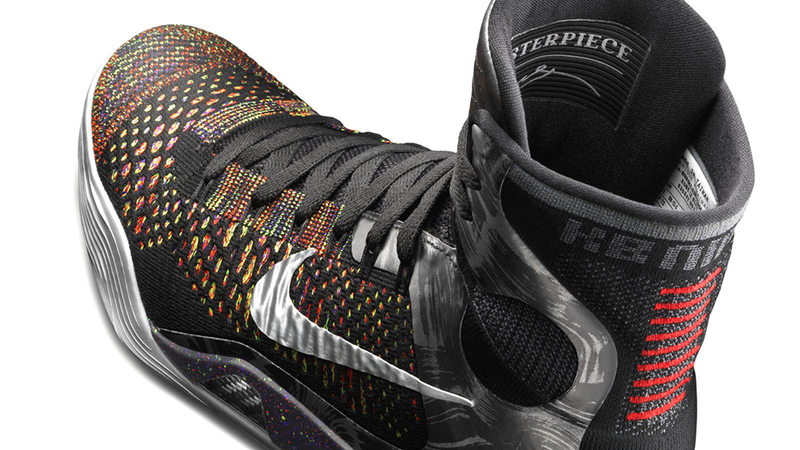 Available 2/8/14.